Why Are You Wanting To Move? To help you achieve your goals in relation to buying a home we need to ask you some questions that will help us to understand how we can serve you best. Tell us, what is the primary reason you are interested in finding a new home? Do you have any special school requirements? What is the minimum price you must pay to avoid capital gains taxes on your last home? What is the absolutely highest you would consider spending if you found the perfect house? the importance of each feature that you would like in a home. Is there a special feature or features we have not mentioned that is important to you? 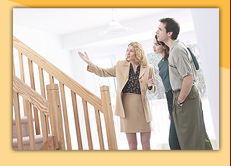 What we would like you to do now is describe what you would consider an ideal home for you. Tell me about the floor plan, decor, yard, etc. Are there any specific geographic areas you have in mind that you would like to look at? What attracted you to these area(s)? What time frame do you have in mind for moving? What will you do if you do not find a home in that time frame? If YES, how much is it listed for? Our goal is to help make buying your home a positive experience. That way the little problems that naturally come up in buying a home can be handled easily and without stress. Is there anything that you would like to tell us that you feel might be helpful in our working together? To do that we need open communication between us. When is the best day/time for you to look at property? a. Ask the agent at the open house to write up the offer. b. Call and ask us to write up an offer on the home. with only with me to help you find a home? available for a down payment? If you would like information on theseor any other real estate transactions, please list the subjects you would like sent to you. Do you have financing available through work, family or other means? When would be a good time for a loan represenative to call you? 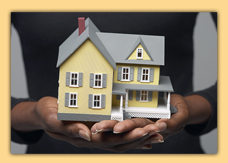 Do you have any other major financial obligations that could have a bearing on the purchase of a home?